If you’re busy, things must be going well, right? Your pipeline is full, you’re continually adding more prospects, converting new leads and upselling to your existing customers. Closing deals and hitting targets feels good. But as you start to get busier, managing your time across your sales pipeline starts to get complicated. Do you ever have that nagging feeling you could be doing even better? How do you split your time up between prospecting, closing deals, onboarding, upselling and reducing churn? And this doesn’t even include the time it takes to manage your sales process and develop the reporting you need to produce on a regular basis. Being busy often creates an illusion of cohesion and focus. A steady flow of prospects, leads, customers and upsell opportunities is great. But you need to step back from the day-to-day hustle and develop a strategic process that allocates time effectively across each of these sales activities. 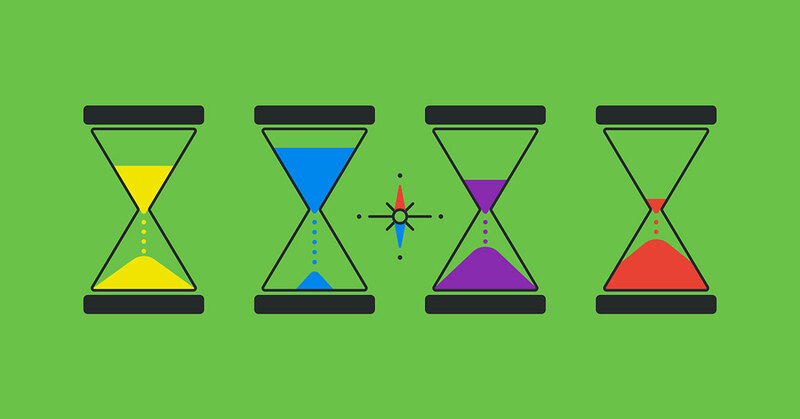 Without this strategic time management, your sales process will start to break into pieces (and critical deals will start slipping through those cracks). Beware the busy manager. And don’t let it be you. Busy salespeople always have so many priorities vying to be number one. You can’t afford a clumsy ad-hoc approach to time management. No clear focus can lead to panic, rushing, and an obsession with the end result. We want to give you the time management processes you need to understand the best way to split your sales time between all of your key activities. You just need to focus on the process and the activities - and the outcomes (and the $$$) will follow. That 1 minute phone call might take you away from the task you were completing for more than 10 minutes. And then think about how many times you let yourself become interrupted during your everyday working life. Some distractions are unavoidable. Others we bring on ourselves. Gloria Mark of the University of California, has shown workers typically attend to a task for about three minutes before switching to something else (usually an electronic communication like a text, a call, a social media message, or an email). It then takes about 20 minutes to get back to the task properly. If you spend your time continually recovering from distractions rather than applying your sales skills to one task at a time - you’ll miss out on opportunities to find and close deals. Calls, emails and ad-hoc conversations pop up every hour for every salesperson. You need a plan to deal with your time to help you handle these distractions. But a pipeline full of prospects doesn’t always translate into leads. And this is where frustration can start to seep in. Do you follow up and chase the lead you thought had so much potential? Or is your time better spent nurturing a different lead after you remove this contact from your pipeline? Now’s the time to step back from that frustration and analyse your sales process. What was it that made the lead fresh and exciting? A feeling in your stomach? An assumption? Or was it based on something concrete? Instead you need to focus on your process. You can control activities, not outcomes. Collate as much info on that person and the potential lead and make any decisions based on as much fact and insight as possible. You can do this quickly and easily with Pipedrive’s Pipeline management functionality. If you understand these factors, you’ll know which leads are deserving of your precious time. You and your team might not have a time management issue, but a focus issue. We’ll take you through a step-by-step approach to help you re-focus at each stage of your sales funnel. How well do you know your sales pipeline? How easily can you focus on the following KPIs? Too often we focus on unnecessary sales metrics. It’s so easy to fall into the trap of tracking everything because you feel like you should. If you don’t, you feel like you’ll miss something. Huge volumes of metrics are intended to help you sell more, but you can be left with the opposite effect. You’ll start to drown in data. Confusion turns into stress and your once-clean pipeline becomes a mess of muddled priorities. You need to focus only on the few sales metrics that matter to regain that clarity and be able to manage your time effectively (if you want help determining the key metrics you should be monitoring - we dedicated an entire article to the sales objectives you need to track). The churn of customers should always be something you analyze to help you improve your process and establish new ways of working. Sometimes you need to lose better in sales. It’s important to regularly flush cold leads out of your pipeline to focus more of your time on ideal prospects. As hard as it sounds - sometimes losing a low revenue customer requires little reaction from your business. You want to focus your time finding, converting, upselling and keeping ideal customers. Instead of dropping your sales process and refocusing attention on reducing churn - first you need to understand what the normal level of churn is for your industry. Like everything else in sales - your churn rate won’t be perfect. Zero churn is an almost unattainable number. Make sure your churn rate is below industry levels. Next, determine your ideal customer. Know how to find them. Then re-prioritize your efforts to reduce churn for these customers. Of course, you want to keep all of your customers. But you should dedicate more time to finding, converting, upselling and keeping ideal customers. Don’t spend this precious time trying to persuade a low revenue customer to stay while more ideal customers suffer. With the right sales CRM, you’ll find it surprisingly easy to analyse why customers churn. If you want to analyse any developing trends - you can use Pipedrive’s lost reasons feature to collect information on why customers leave. Apart from analyzing why customers tend to churn, try using the opposite approach in tandem. 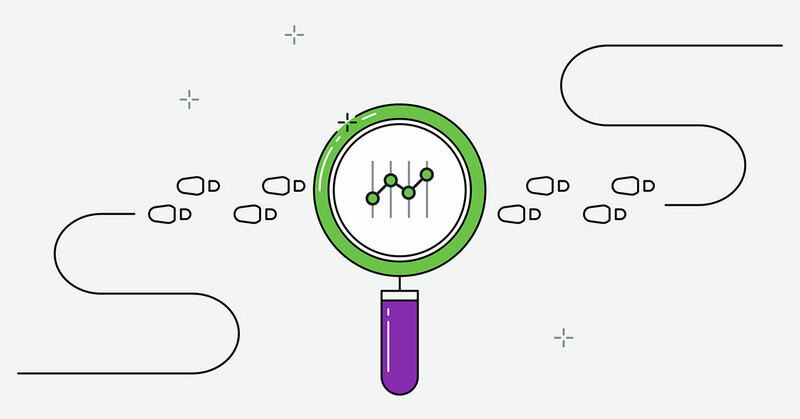 Focus less on churn, but more on figuring out what’s true and shared about your best customers, and find a structured way to find, attack and convert those leads instead. Again, in practice this tactic can be executed more easily than you’d expect. Pipedrive’s Sales Reporting features make it easy for you to find and compare data on your won deals. You can automate the info gathering process and skip straight to the analysis to determine how you are winning ideal clients - so you can do more of the same in the coming sales cycles. This fantastic explainer video explains exactly how you can take advantage of smart reporting to improve your sales process and close more of the right deals. This allows you to balance churn by attracting more better quality leads who will help you kick up that all-important MRR (monthly recurring revenue) figure repeatedly over the longer term. There’s a common problem handicapping revenue growth at so many scaling companies - how do you increase that all-important monthly recurring revenue (MRR) figure? You’ve laid the foundations as a business. Sales has been continually driving new sales. Your conversion rates are good, but growth is slowing and you need to keep driving MRR. You need to nudge those customers to spend more! Upselling is the lifeblood of a successful scaling company. Your sales team needs to dedicate a portion of their time towards driving more revenue from existing customers by proving the value of your higher tier product offering. Think about this with your existing customers. Don’t focus 100% of your attention on selling. Instead, break out a portion of your sales cycle to focus on building relationships with existing customers. Try to understand their specific professional problems and work out how you can offer a better solution with a more premium, customized or advanced product. Listeners build trust - a critical currency you can exchange for more revenue. Simply concerning yourself with selling and the benefits of your product, means you’re often missing the point of where you can really add value to your customer’s business. Relationship development with existing customers will give you a chance for the upsell - and help you reduce churn and increase the average lifetime value of your customer (that’s the critical LTV figure your boss loses sleep over). You can keep track of all the vital and detailed info about the specific problems of each of your existing customers with an appropriate pipeline sales management tool. You need this contextual data cleanly arranged for each of your customers so you can convert those upsell opportunities effectively. This is where you need clarity and ease of analysis. If you can’t calculate this, it’s likely you’ll focus your efforts in the wrong areas, stress over things you should ignore and deliver poor forecasts - setting a dangerous expectation for the senior management in your business. Through Pipedrive’s sales forecasting tool you can segment your customers, report on their current activity and forecast accurately. Each of these insights can be used to establish a tailored, accurate and structured strategy moving forward. Balancing your sales time between prospecting, nurturing leads, closing deals, inducting customers, upselling and reducing churn *DEEP BREATH* is a tough gig. This is one of the trickiest challenges for even the most experienced of sales managers. We don’t have a secret solve-it-all answer for you. Splitting your sales team across these parts of the buyer journey, so your reps aren’t continually multitasking. A fast scaling business needs their best salespeople and firmly focused on upselling existing customers only. The added task of acquiring new customers requires a different process, skill set and rhythm. If you have the resources - dedicate each salesperson or team to only one stage of the buyer’s journey. Work with them to develop strong expertise in that one stage. You’ll increase conversion rates much more quickly - helping you to continually grow that MRR figure. 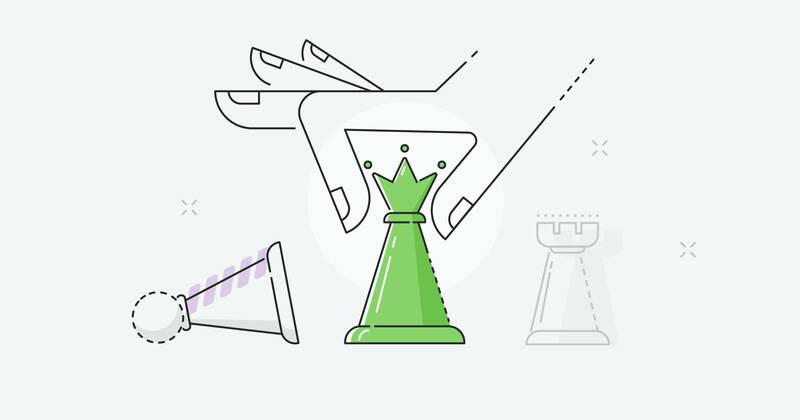 You’ll scale faster by building expert sales teams dedicated to each key sales function. And if you’re just starting to grow your sales team, put your superstar on upselling. Just remember - you need that structured sales process to accurately measure what’s working and what’s not.